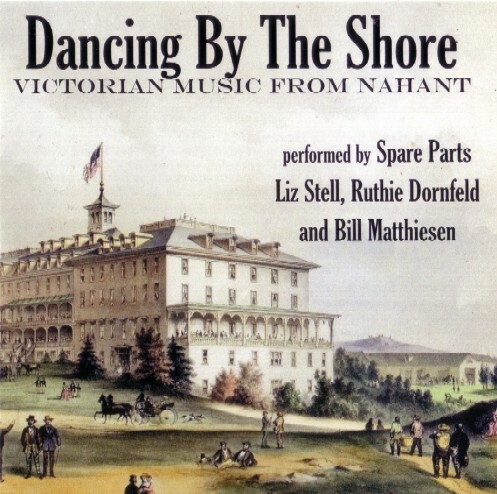 A few years ago we started the process of creating a CD of the Nahant related tunes that we had been dancing to at the Nahant Victorian Day Ball since the early 1990s. 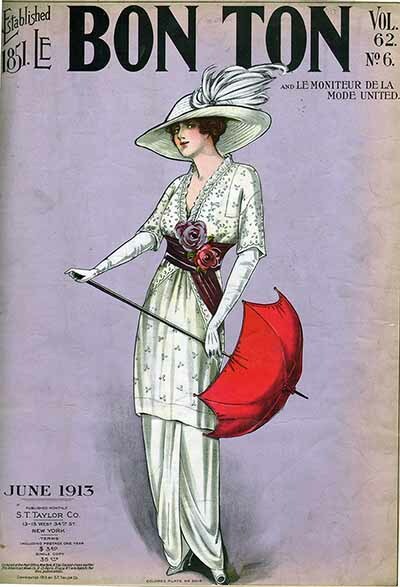 Katy and Ben Bishop, who sponsor the Nahant Ball, gathered together sheet music from the Nahant Historical Society’s collection, and with the help of Dr. Patri J. Pugliese and our fine musicians Bill Matthiessen and Liz Stell (of Spare Parts), and revived these little-known tunes. 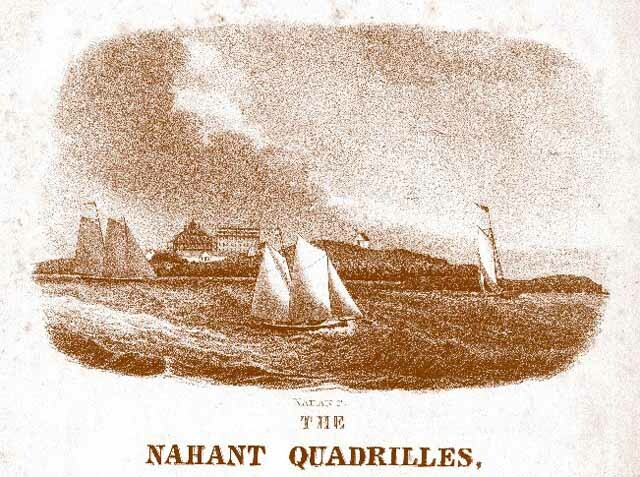 Some of the dances enjoyed at the Nahant balls include the Nahant Quadrilles, Nahant Polka, Nahant Waltz, Sea Serpent Polka. 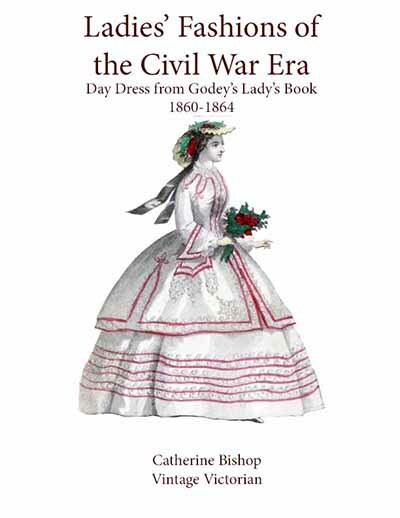 The CD was produced for the Nahant Historical Society, with sales benefiting their worthwhile efforts to preserve Nahant’s rich and varied past. 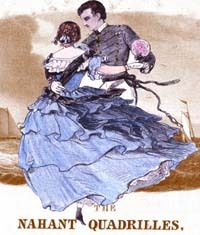 This Quadrille, published in 1836, has been danced at most of the Nahant Victorian Day balls. Over the years the choreography has been refined, as the original calls on the sheet music are minimal and open to interpretation. The dance was reconstructed by the late Dr. Patri J. Pugliese, a dear friend and unsurpassed 19th century dance historian, dance master and co-founder of The Commonwealth Vintage Dancers, with some suggestions from Katy and Ben Bishop. We are still researching who the names of the figures are honoring; the Quadrille itself, as well as figure No. 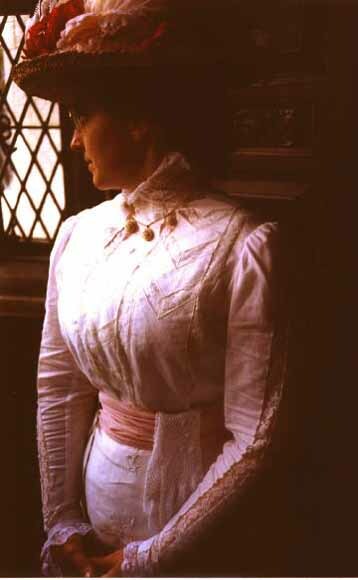 1, is dedicated to Rebecca Willson. The numbers indicate the number of bars of music required for the corresponding movement. There are two musical beats per bar (i.e. 4b is 4 bars, or 8 beats). All figures are repeated 4 times, twice for the heads, twice for the sides. Numbering of couples is as follows: Couple #1 with their backs to the music, Couple #2 facing them, Couple #3 to the right of Couple #1, and Couple #4 opposite Couple #3. Note: Only figure 1 begins with a bow, bow first to your partner then to your corner. The figure “Heads lead to the right, Heads lead to the left” is as follows: Couples lead counterclockwise (CCW) to the couple on their right, then they continue around the inside of the set CCW, to the couple on their left, then contimue CCW to home.